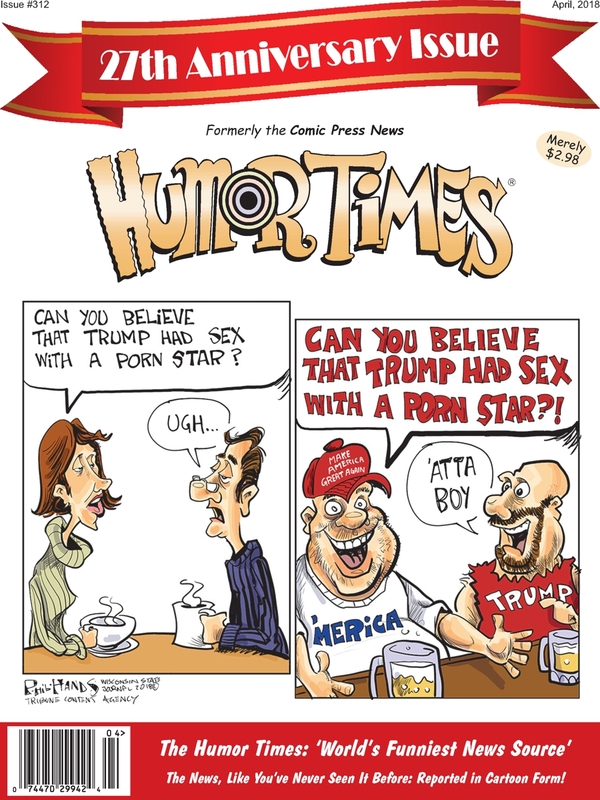 It's the Humor Times 27th Anniversary Issue! Get Your Copy! Don’t miss the Humor Times 27th Anniversary Issue – order a subscription or free sample today! Don’t cry about the news — laugh about it, with the Humor Times! We cover the news like no one else — say goodbye to the droll, hello to the hilarious. You won’t want to miss the Humor Times 27th Anniversary Issue — order it today, subscribe, or pick it up: the magazine is now available in Barnes & Noble and other stores across the country! The cover of the Humor Times 27th Anniversary Issue — click to enlarge. 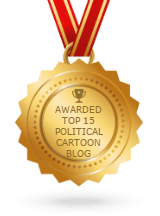 A monthly political humor magazine featuring the finest in editorial cartoons, humor columns and satirical news stories, the Humor Times cuts through all the hype. It’s the perfect antidote to get you through these troubled times. Appropriately enough for a publication bent on tickling readers’ funny bones, the Humor Times’ original launch date – originally titled the Comic Press News – was on April Fools Day, 1991. The 27th Anniversary Issue will come out before the end of March. Besides the editorial cartoons, the publication features humor columns by the likes of veteran political comedian Will Durst, Jim Hightower and others, a satirical news section ala The Onion, and – lest the magazine risk leaving readers feeling too jaded – many non-political cartoons, to help lighten up the mood. 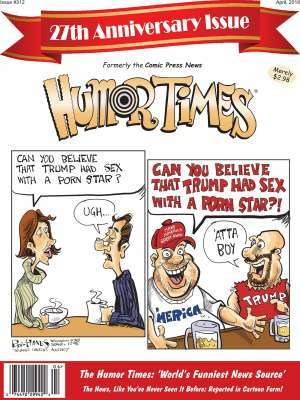 Humor Times subscriptions are just $24.95/year (for 12 issues – save a dollar when ordering online), and a 3-issue trial subscription is available for only $7.95. A digital version is available for download by subscription as well, for just $9.95 a year. The magazine is also available in Barnes & Noble and other stores across the country!